John Ronald Reuel Tolkien (1892–1973) emerges as a Renaissance man in the exhibition Tolkien: Maker of Middle-Earth – now on view at the Morgan Library & Museum – the most comprehensive display ever mounted of the English author's oeuvre. The all-encompassing show presents a panoply of Tolkien’s creations, including the novelist’s seldom seen illustrations. J.R.R. 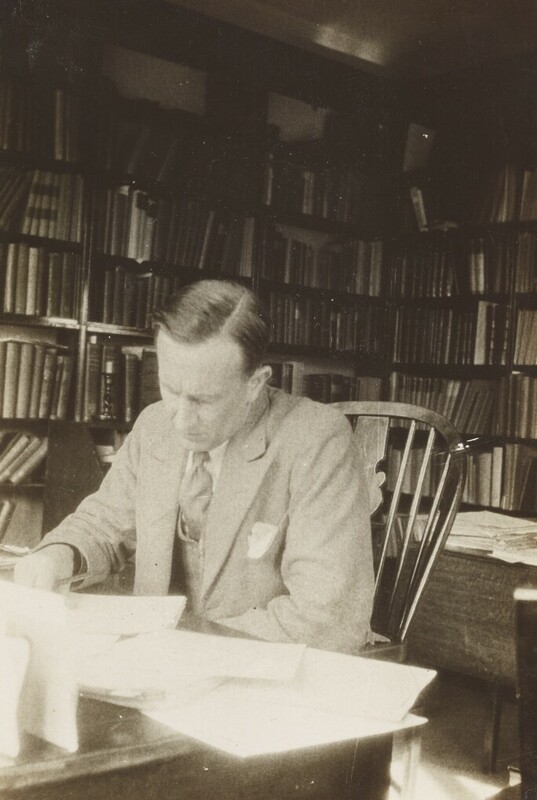 Tolkien in his study, ca. 1937, black and white photograph. Tolkien Trust, MS. Tolkien photogr. 5, fol. 94. © The Tolkien Trust 2015. Tolkien's illustrations provide an intimate window into Middle-earth, as the pieces unlock Tolkien's artistic vision for the locales of his celebrated works, The Hobbit and The Lord of the Rings. The artworks are presented alongside biographical materials in Tolkien: Maker of Middle-Earth, examples being documentary photographs, manuscripts, and drafted maps. At the Morgan, discover the life and art of a visionary. Preview highlights above. The first publisher of the Hobbit, the British house George Allen & Unwin, adored Tolkien's skillful drawings. 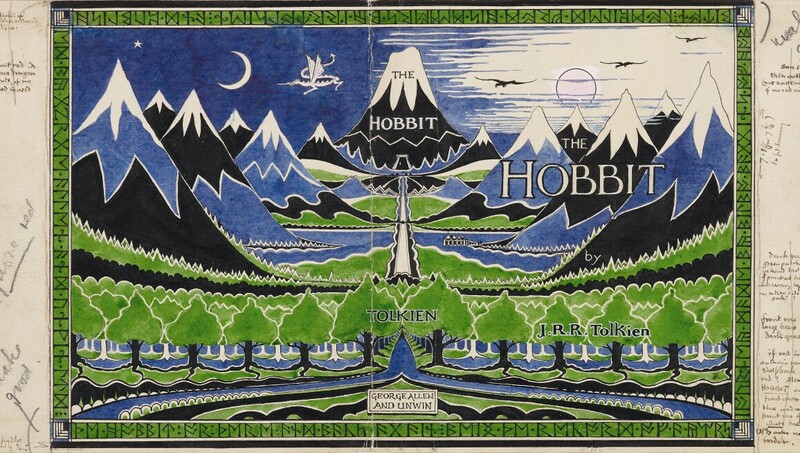 Prior to publication, they requested that Tolkien draft a copy of the prequel's dust jacket. Pencil, black ink, watercolor, gouache. Bodleian Libraries, MS. Tolkien Drawings 32. © The Tolkien Estate Limited 1937. Commissioned by the American publishing house Houghton Mifflin, this illustration is one of five watercolors that was to be featured in the first American edition of The Hobbit. The publisher did not include all five in the final copy, however The Hill: Hobbiton Across the Water was included as the frontispiece. Watercolor, white body color, black ink. Bodleian Libraries, MS. Tolkien Drawings 26. © The Tolkien Estate Limited 1937. This watercolor represents a climatic scene in the Hobbit, in which the protagonist Bilbo faces Smaug, a dragon. With this illustration, viewers are able to envision the author's original artistic intent. Black and colored ink, watercolor, white body color, pencil. Bodleian Libraries, MS. Tolkien Drawings 30. © The Tolkien Estate Limited 1937. Much like The Hill: Hobbiton Across the Water, this watercolor was one of five watercolors commissioned by the the American publishing house, Houghton Mifflin. This particular illustration was Tolkien's personal favorite. Unfortunately, and to the disappointment of the author, this particular illustration was not published in the first American edition of the Hobbit in 1938. Watercolor, pencil, white body color. Bodleian Libraries, MS. Tolkien Drawings 29. © The Tolkien Estate Limited 1937.